Hilton Worldwide has opened a hotel in Jaipur, the brand’s fifth property in India. The Hilton Jaipur is located in the city centre in Rajasthan and features 930 sqm of flexible meeting and events space, including a 21 foot-high ballroom and an open-air patio. 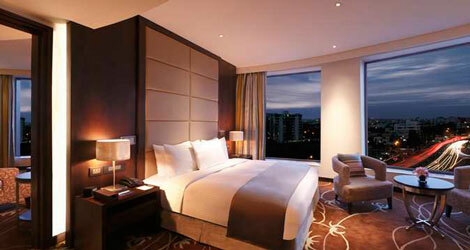 Guestrooms range in size from 33 sqm to 60 sqm, while there are two restaurants and a lounge bar. Additional facilities include a 24-hour business centre, a boardroom, two meeting rooms, an outdoor swimming pool, a 24-hour fitness centre and a 223 sqm spa that includes three treatment rooms, and steam and sauna facilities. Rob Palleschi, global head of Hilton Hotels & Resorts, said: “We are excited to open our fifth Hilton brand hotel in India, extending our presence in one of our most important growth markets. Hilton Worldwide opened its ninth Doubletree hotel in London at the weekend (see news, May 19).